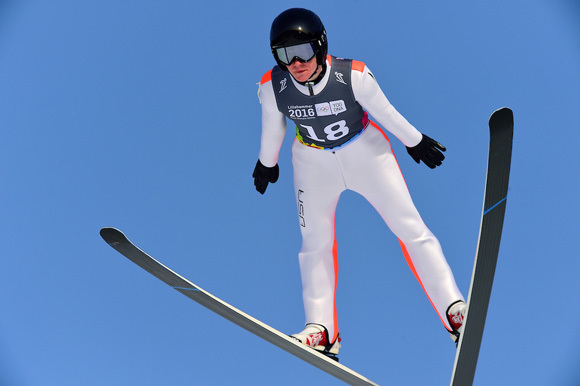 Barrington High School students and accomplished ski jumpers, Casey and Cara Larson are both currently competing in the Junior World Ski Championships in Râșnov, Romania. That’s after Casey soared to a strong sixth place finish, as the only ski jumper representing the USA in the Youth Olympic Games in Lillehammer, Norway last week. 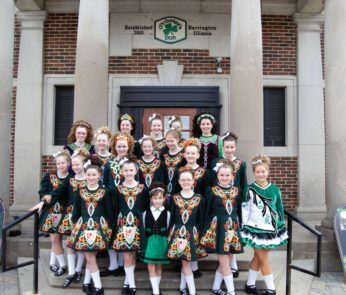 The siblings grew up learning to jump at Norge Ski Club in Fox River Grove, where both of them captured championships locally last month at Norge’s 111th annual Winter Tournament. 365Barrington’s Gus Goetze caught up with both junior, Casey and freshman, Cara before they headed to Lillehammer to learn more about their passion for the sport and their shared Olympic aspirations. Casey and Cara’s father, Guy Larson says that temperatures are unseasonably mild in Râșnov, Romania where crews are working overtime to truck in enough snow for the athletes to compete. Once they’re back in Barrington, the siblings will take a break from jumping and will play spring sports before they resume training for ski jump season again on May 1st.